On Thursday evening 16 July, 30 or so parishioners met in South Hinksey Village Hall with Peter Collins and Magnus Williams from the Environment Agency (EA). We were pleased that local farmer Nick Frearson and a land agent on behalf of landowner Oxford City Council, were present too: they are important stakeholders in the project. 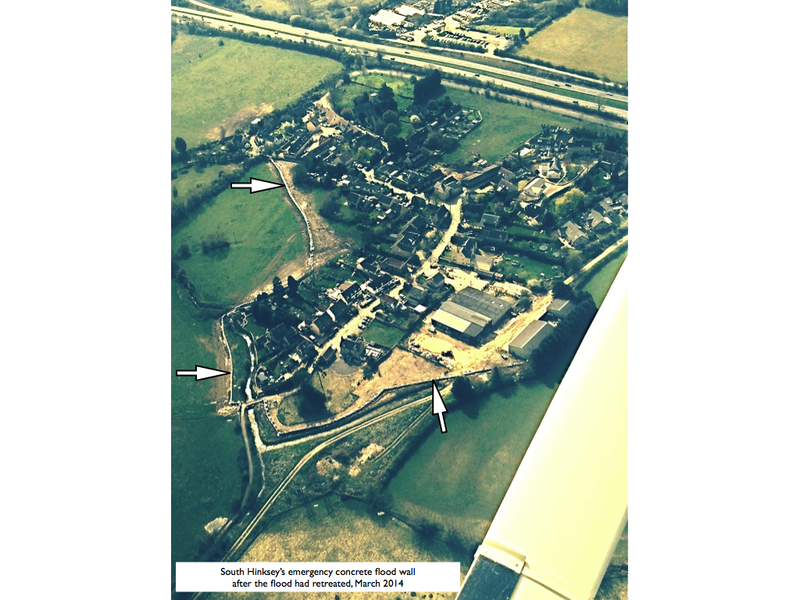 Engineer Magnus Williams presented his initial design ideas for groundwork to support deployment of temporary barriers for the village when flooding threatens. Magnus is talking to individual householders to ensure that everyone is happy with the specifics of the proposals. We’re grateful to the Vale of White Horse District Council for providing £60k for the works and to the EA for providing the engineering design input, obtaining of permissions and so on. We hope that things can move ahead as fast as possible as winter approaches and the risk of our flooding increases yet again. Peter Collins, EA’s Asset Management Performance Team Leader for the Oxford area updated us on the aims and progress of the scheme. Many thanks to Magnus and Peter for giving up their evening to meet us, much appreciated.